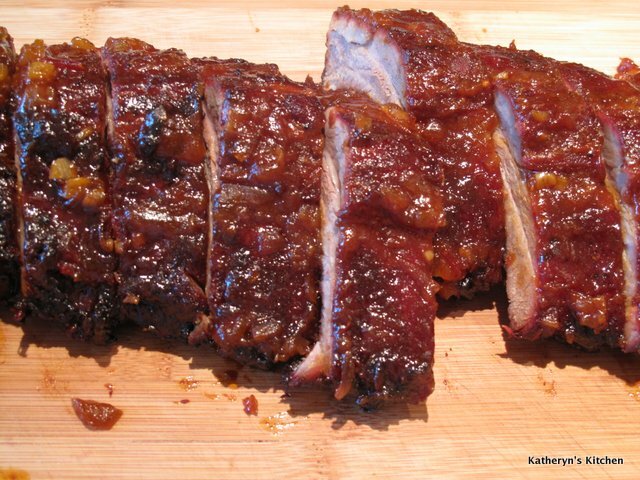 These tender baby back ribs have a ton of flavor from the spice rub, hickory wood smoke, a tangy mop sauce and the final apricot bourbon glaze. 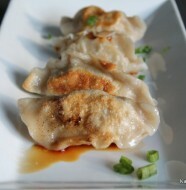 This recipe does take some time and effort but you can skip the smoking if you like. Just slow cook them for about 2 hours on about 300 degrees F in your BBQ with the spice rub and mop sauce. 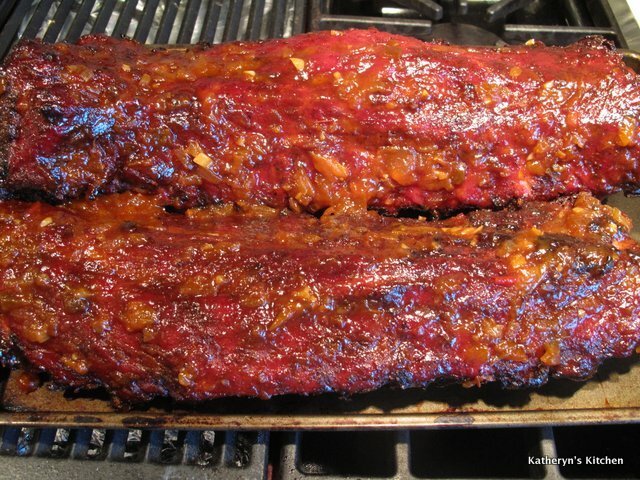 They can be set aside at this point and then finished off later and heated through on the BBQ again with the Apricot Bourbon glaze on an indirect heat of 350 degrees F for about 30-45 minutes. I served these at a recent BBQ. To make it easier, I actually did the smoking with the spice rub and mop sauce, the day before and finished them off just before dinner the day of the BBQ. 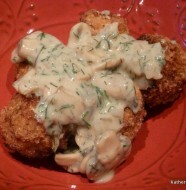 I also made the apricot bourbon sauce the day before and stored it in the refrigerator until the next day. I have learned to do as much as I can the day before a dinner party so I am not cooking all day, the day of the party, which can be pretty exhausting. I want to spend as much time as I can with my guests, I don’t want to be stuck in the kitchen all evening. So when planning a dinner party, and choosing recipes, think hard about what you can do a day or two ahead of time and be as organized as possible. Make it easier on yourself. 6 pounds of baby back pork ribs, membrane removed( the thin tough skin on the bone side of the ribs)- leave side of ribs whole-don’t cut into portions- they will stay more moist. 1/2 cup plus 1 tablespoon bourbon-if you don’t have bourbon-use scotch or rye- it tastes virtually the same, I think. 1. Make the rub and mop sauce. Whisk the rub ingredients together in a small bowl. Whisk the mop ingredients together in another small bowl. Set both aside. 2. Sprinkle the spice rub evenly over both sides of the ribs. 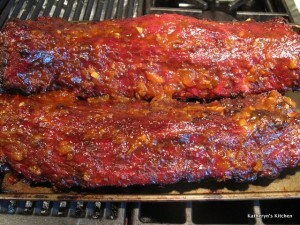 Transfer the ribs to a large baking sheet and let stand while the grill heats or allow to marinated for a couple of hours in the refrigerator if you are not ready to BBQ. 3. Light a charcoal or gas grill fire and set it up for indirect cooking over medium low (300 degrees F) heat. If using a charcoal grill, move the lit and ashed over coals to one side of the grill. Cover the grill and adjust the vents as needed to reach 300 degree F.
4. On the charcoal grill remove the grill grate and sprinkle the soaked hickory chips over the coals. Replace the grill grate and clean it. If using a gas grill, turn off one or more of the burners and adjust the active burners to reach 300 degree F. Use two layers of heavy duty aluminum foil to make a V shaped packed to hold the wood chips. Remove the grill and set the packet between the active burners. Sprinkle the dry chips into the packet. Once they are smoking , sprinkle a few handfuls of the soaked chips over the dry chips to create even more smoke. Replace the grill grate. 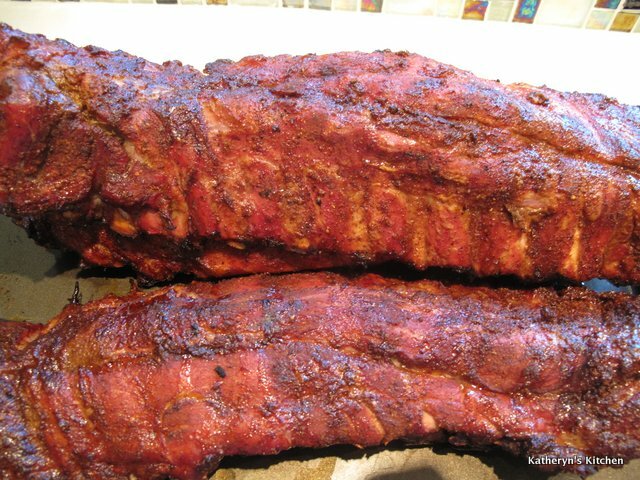 Tip: A rib rack is a handy tool for fitting several slabs of ribs on your grill, but you can also use an inverted V shaped roasting rack– just slip the rib slabs between the bars of the upside down rack so they stand vertically or horizontally if you keep the ribs whole, not cut inhalf. Or, if your grill is large enough to hold all of the ribs horizontally, simple lay them on the grill grate. 5. If using a rib rack, put it on the grill grate and arrange the ribs in the rack. If not, put the ribs directly on the grill grate and above the inactive burners. Brush both sides of the ribs with some of the mop sauce. Cover the grill and cook until the meat begins to pull back from the ends of the bones, about 45 minutes. 6. Now transfer the ribs to a baking sheet, lift the grill grate, and if using a gas grill, add the remaining soaked hickory chips to the foil packet. If using a charcoal grill, add about 1/2 quart charcoal to the lit coals to maintain the temperature. Replace the grill grate and return the ribs to the grill, flipping them if not in a rib rack. Brush again with more of the mop. Grill about 45 minutes more, keeping the temperature at about 300 degrees F.
7. Flip the ribs again, if necessary, moving the farthest slabs nearer the coals or burners) and adding about 1/2 quart more charcoal to the coals to maintain the temperature). Brush with more of the mop, cover, and continue to cook until the meat is tender when pierced with the tip of a knife, about 30-45 minutes more. Transfer the ribs to a platter. Discard any remaining mop. 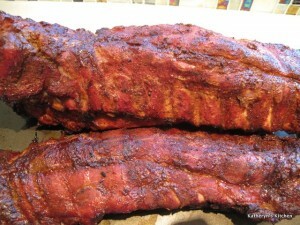 (At this point, the ribs can hold for a few hours to overnight. If keeping overnight, tightly wrap and keep refrigerated. Let come to room temperature before grilling, remove them from the refrigerator about 30 minutes before grilling). 8. While the ribs are cooking(smoking), melt the butter in a 3 quart heavy duty saucepan over medium heat. Add the onion and cook, stirring occasionally, until golden, about 5 minutes. Add the garlic and cook until fragrant, about 1 minute. Stir in the apricot jam, chili sauce, 1/2 cup of the bourbon, the vinegar, brown sugar, Worcestershire sauce and mustard. Bring to a simmer. Lower the heat to low and simmer, stirring often, until reduced to about 3 cups, about 20 minutes. Stir in the remaining 1 tablespoon of bourbon and remove from the heat. You can make this sauce ahead of time, like earlier in the day or the day before. 9. For a charcoal grill, add 3 more quarts charcoal to the lit coals and let them burn until covered with white ash. Adjust the vents again so the grill temperature reaches about 350 degrees F. Make sure coals are pushed to the side when ready. Replace the grill grate and clean it. For a gas grill, remove the foil packet, adjust the heat to 350 degrees F by turning on another burner, but so that you can still cook the ribs on indirect heat(with the burners turned off below the ribs). Replace the grill and clean it. 10. Arrange the ribs on the grill grate, over indirect heat(the part of the BBQ where there is no fire below the ribs) and brush with some of the sauce. Cover and cook until sizzling, about 15 minutes. Flip and brush with more sauce. Cover and cook until sizzling, 10-15 minutes more. Flip again, brush on more sauce and cook for another 10-15 minutes. Transfer to a cutting board, let rest for about 5 minutes, then cut between the bones into individual ribs. 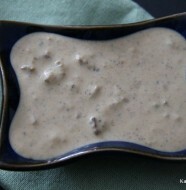 Serve with any remaining sauce, if there is any left.